This auction has been sold to Janet Waters at $250.00 USD. 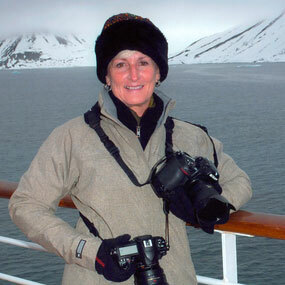 Cindy Miller Hopkins is a full time travel, nature, and stock photographer that licenses over 1,000 images a year. She attributes a high percentage of those sales to her understanding of detailed metadata. If you are posting images on websites, working with a team gathering photographic data, or just want to FIND your own work efficiently on your home computer, she can help. Cindy is offering 2 hrs of one-on-one advice over the phone, via SKYPE or Facetime. You can also opt for an in-person review if you will be attending NANPA's Nature Photography Summit in Las Vegas in February. Your 2-hr class will cover any aspect of metadata you are seeking help with. Adobe Bridge or Lightroom platforms.